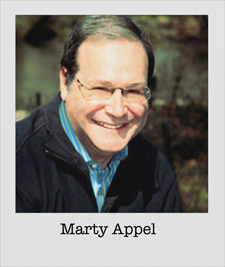 Marty Appel Public Relations was established in March 1998 by Marty Appel, a veteran of 32 years of experience in communications, public relations and writing. The company, based in New York City, specializes in the communications needs of sports, broadcast, and publishing clients.Mr. Appel, who has won an Emmy Award, a Gold Record, and written award-winning books, is the company’s president. 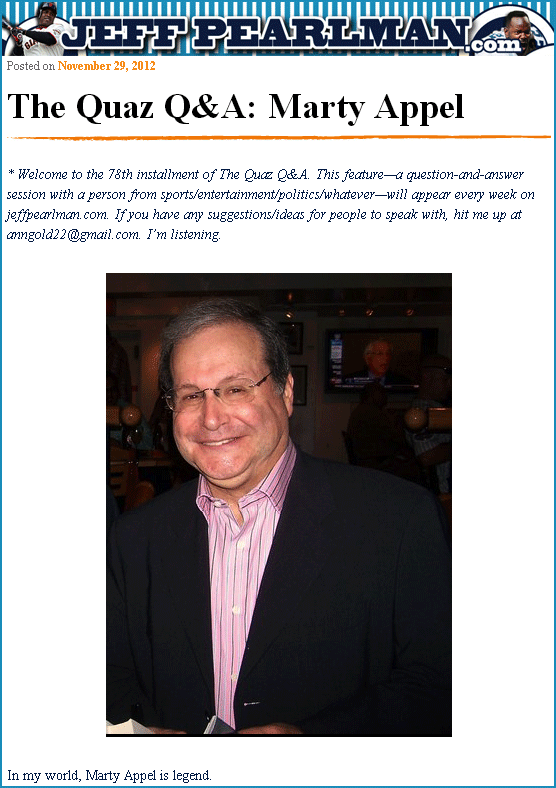 He was the youngest public relations director ever selected to lead a major league baseball team and was George Steinbrenner’s first hire in that position with the New York Yankees. After nine years with the Yankees, under both CBS and Steinbrenner ownership, Appel went on to direct public relations for Tribune Broadcasting’s WPIX in New York and to serve as the Yankees Executive Producer concurrently. He later directed public relations for the Atlanta Committee for the Olympic Games and the Topps Company before opening his own agency.His client base extends beyond the sports field, including NYC Health & Hospitals Corp., Columbia University’s New Teacher Institute, a communications course in Harlem’s District 5 for an after-school program, the New York City D.A.R.E. program, the Maritime Association, Boys and Girls Clubs of America, the New York Academy of Medicine’s ‘Doctors Against Handgun Injury’ program, and Mickey Mantle’s Restaurant. Sports clients include Topps, The Sporting News, The Football Network, The Yogi Berra Museum, and the Yankees. He has also done public relations for World Team Tennis’ New York Apples and for the Office of the Baseball Commissioner. His 16 books include collaborations with Larry King, Bowie Kuhn, Tom Seaver, Lee MacPhail, umpire Eric Gregg, Thurman Munson, the definitive collection of Hall of Fame biographies in Baseball’s Best, and the award-winning biography “Slide, Kelly, Slide” about a 19th century baseball star. His autobiography, “Now Pitching for the Yankees,” named best New York baseball book of 2001 by ESPN, was published in June 2001.